An abundance of caution is in order anytime of the year regardless of what you may happen to be up to, but summer is a time we sometimes let our guard down a little more than we should. There are so many fun summer activities and sometimes we don't properly consider some of the potential dangers that each of these activities presents. Whether you visit the mountains, the beach, go to an amusement park, or simply enjoy a ball game at the park, there are things that can go wrong. So remember to play it safe and be prepared for things that might cause injury or possibly even worse. 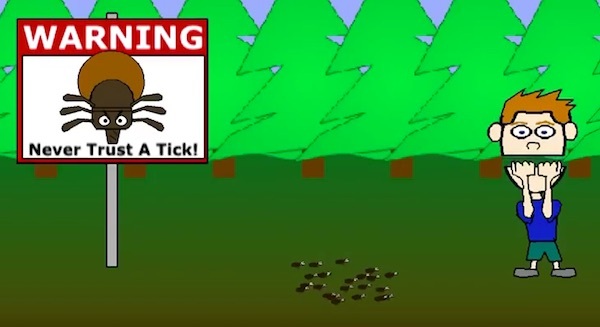 In particular this summer, pay special attention to ticks. They are supposed to be particularly numerous this summer for a number of reasons and so be especially mindful of the disgusting little pests! And beware of errant sneezes! So have a great summer there's so much you should fear!